During my Consultations I am often asked about the differences between a Chapter 7 and Chapter 13 Bankruptcy. 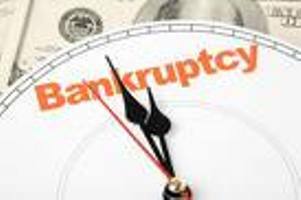 When considering a Bankruptcy filing, the number 1 thing that you need to know is whether or not you can qualify for a Chapter 7 or if you will be forced into a Chapter 13. The answer to that question, may just determine whether or not Bankruptcy will even make sense for you. The following post is a general overview of the two chapters of personal Bankruptcy. When most individuals think about a Bankruptcy, they are thinking about a ch. 7 Bankruptcy which is basically a liquidation and discharge of your debts. A bankruptcy trustee gathers and sells the debtor’s nonexempt assets and uses the proceeds of the sale of those assets to pay the creditors back. Debtor’s will be allowed to keep exempt property, but you will likely lose non exempt assets. i.e., food, clothing, shelter, utilities, taxes, transportation, medicine, etc. A chapter 13 bankruptcy is also called a wage earner’s plan. It enables individuals with regular income to develop a plan to repay all or part of their debts. Under this chapter, debtors propose a repayment plan to make installments to creditors over three to five years. If the debtor’s current monthly income is greater than the applicable state median, the plan generally must be for five years. The plan is very restrictive and the Debtor is essentially put on a monthly allowance by the Bankruptcy trustee. The allowance is determined by IRS guidelines and is not very forgiving. Everything that you earn over and above the allowance you are given will go toward paying back your creditors (typically over a 5 year period). The documents you will have to file with the court are similar to the ones listed above. To be eligible to file a Ch. 7 Bankruptcy you must pass whats called a “means” test. The first step is that you must earn less than the Median income in your state. State Median Income Chart. If your income is higher than the median income then you have to calculate your disposable income and unsecured debts. The calculation can get fairly complicated but it breaks down like this in nutshell. Certain allowable expenses (determined by IRS guidelines) are subtracted from your income to find your “disposable income.” If your projected disposable income over the next five years is less than $6,000 ($100/month), you will likely pass and be able to file under Chapter 7. If it is over $10,000 you will likely have to file a Chapter 13. The main difference between a Ch. 13 and a Ch. 7 is that in Ch. 7 you attempt to liquidate your assets and discharge all of your debts where as in Ch. 13, you are trying to pay them all back under a court ordered plan. Which one is better for you depends on your specific situation. Ch. 7 will allow you a quick and clean fresh start. If you don’t have any nonexempt assets and are only trying to discharge consumer debt, it can provide some great relief to those who qualify. On the other hand, if you have nonexempt assets then you might be better off filing a Ch. 13 to protect those assets if a Bankruptcy is absolutely necessary. Bankruptcy should almost always be looked at as a last resort for getting rid of debt. There are other options that should be reviewed first.